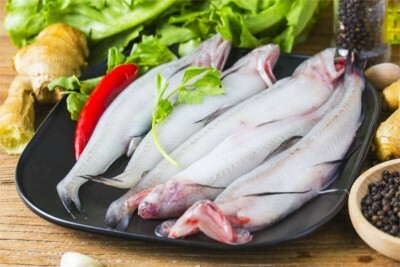 The Bombay duck is a popular food item in western Indian coasts. Fresh fish are usually fried or cooked in curry. Whole cleaned: Gills, fins, scales and viscera are removed from the whole fish and washed.